I have water colored it with Kuretake Zig. Put some beads and sequins inside the frame. I used Happy birthday border dies for sentiment. Thank you for stopping by and happy crafting ! 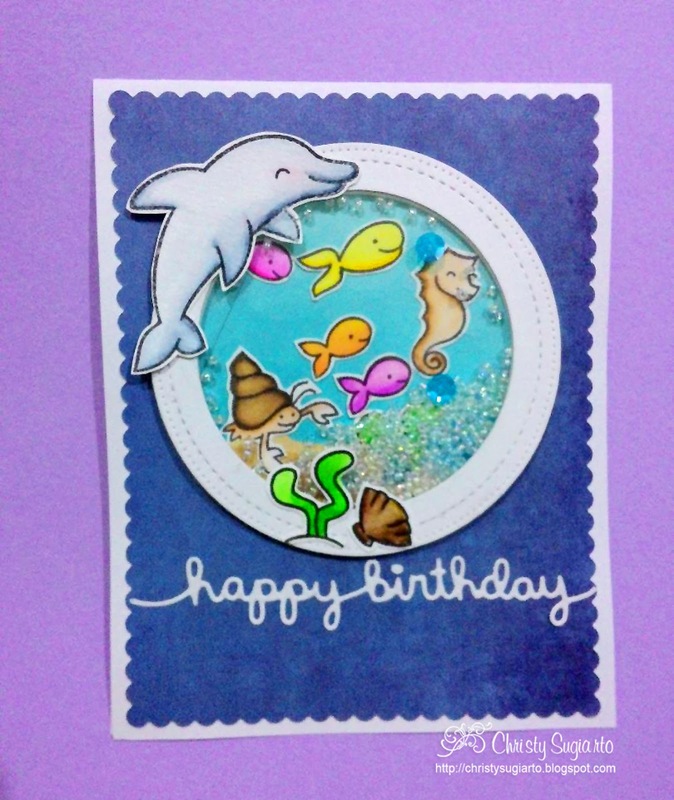 I love that you made a fun shaker card using the challenge sketch, so clever! Critters in the Sea is still one of my favorite sets, it looks adorable on your wonderful card! Thanks for sharing with us at Lawn Fawnatics! Really lovely shaker card, super cute images, like the shaker elements too. Thank you for joining our 'Birthday' challenge this week at Allsorts.